The Cancer Moon goes void of course at 9:36AM ET, as you may remember from Monday’s forecast. An easy connection to Mars facilitates efficient action based on home/family/emotional security needs. Take care to nurture yourself and those around you — but when in doubt, put the oxygen mask on yourself first. It seems as if I’ve been repeating that mantra left and right over the past several weeks. Moon is void until 9:17PM ET. Focus on routine concerns; roll with the twists and flakes; chill over perceived crises that are likely much ado about nothing. The party-hearty Leo Moon takes over the evening and sails through Saturday and Sunday. Not until 8:17 PM ET on Sunday does it go void with a potentially provocative sigh, challenged by Mars in Scorpio. Check your stubborn regal egos at the door for the duration of the night. A waxing Full Moon — exact on Monday at 1:20PM ET — suggests equally waxing emotions and perhaps a bit of howling, too. Moon enters Virgo to set everything right on Monday at 6:24AM ET. No sleeping in! More on the Full Moon in Monday’s forecast. Meanwhile, Friday’s big news is the Sun leaving Aquarius for Pisces at 12:34AM ET. Happy birthday to your favorite fishies! Pisces is a sensitive, intuitive energy that at its best expresses compassion and loving kindness for everyone and everything, in its understanding that we are all One. Being such a sensitive soul is not always easy. Pisces has been known to wallow in suffering. It can go to extremes of surrender in order to escape life’s hard knocks, drowning its sorrows in the nearest rose-colored glass. Pisces is ruled by Neptune, a dreamy energy that can be challenging to integrate, but oh what sublime creative visions it can bring to life, when effectively channeled. UPDATE: Justice Scalia was in fact having health issues, including high blood pressure and heart problems. Sorry, conspiracy theorists. Plus, planetary patterns support his doctor’s statement, not foul play. His solar returns for 2015 and 2016 are quite compelling. HEADS UP: Yesterday Mars was at 23 degrees of Scorpio. Why is this significant? Because on April 23rd, Mars will turn retrograde at 8 degrees of Sagittarius. It will appear to move backwards in the sky through May and most of June, finally turning direct on June 29th at…23 degrees of Scorpio. It’ll be sitting on that degree for almost four weeks, until it picks up speed and moves on in mid-July. Here’s a brief and general 411 on how we may use retrograde Mars energy most effectively. Point is, actions initiated between now and April 23rd will be revisited once Mars turns retrograde. Then, once Mars turns direct in late June, we will go over the action for a third time. THEREFORE, if you have planets or angles between 23 Scorpio and 8 Sagittarius — and especially on those degrees, you can expect those parts of your horoscope to be triggered once, twice and thrice between now and late August. Same for planets between 23 Leo, Taurus and Aquarius…as well as 8 Gemini, Pisces and Virgo. Where are your planets and angles? 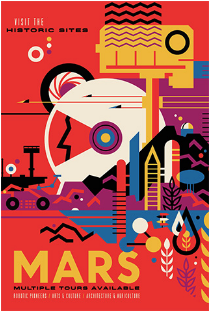 Order an Astro-Basics Report and find out how Mars retrograde will fall in your horoscope. You’ll find it in the Services & FAQS section of my website. Donald Trump — Mars at 26 Leo; Ascendant at 29 Leo. We can expect his regal self-projection to be even more revved up over the next two weeks. Michael Bloomberg — Sun at 25 Aquarius; rebel Uranus at 26 Taurus. There’s talk of him launching his own run for president, and Mars now at 23 Scorpio is about to hit his fiercely daring Sun-Uranus square next week…and again in mid-June. What will happen? Ted Cruz — wish we had an exact birth time, but we do see Jupiter (expansion) at 25 Scorpio, triggered by transiting Mars over the next several days. We expect a surge of energy, and in fact, he is getting a boost in the polls. He has Neptune at 1 Sagittarius, which Mars will hit around March 10th — this suggests pixie dust and/or snake oil. Governor Paul Le Page (R-ME). Mars at 24 Scorpio. He should be feeling quite feisty this week, especially with transiting Pluto supercharging his 16 Libra Sun, just as it is supercharging George W. Bush’s 16 Libra Moon (noted on Monday). Bernie Sanders — reportedly born with 25 Scorpio rising; Saturn at 28 Taurus; Uranus at 1 Gemini. Hillary Clinton — South Node at 24 Scorpio; Jupiter at 1 Sagittarius. Scorpio Ascendant has been proposed, but is not confirmed. House Speaker Paul Ryan (R-WI) — Neptune at 0 Sagittarius; Ascendant at 0 Sagittarius. Let’s keep an eye on him the first week of March. Tim Cook, the Apple CEO whose horoscope was first discussed here, has Mercury at 22 Scorpio square Uranus at 25 Leo. He’s been making news this week for his upstart and stubborn refusal to comply with a federal court order that Apple engineers “must create new software that would bypass security features on the iPhone” used by the man who killed 14 of his co-workers at a holiday party in San Bernardino last year. The iPhone belongs to the man’s employer. FBI efforts to unlock the iPhone have failed. It is a controversial case, and it is fascinating to see how Mr. Cook’s mindset and independent streak reflect patterns in his horoscope. The headline reads: “Tim Cook Gives Apple a Social Conscience in Fight With U.S” Let the record show that Mr. Cook’s Mars in Cancer could be expected to act in ways that preserve home and emotional security. We could argue that his Sun-Neptune conjunction in Scorpio suggests a need to be concerned with privacy — with a little magical pixie-dusted spell tossed in. Pop quiz: name two other newsmakers who have the brilliant mind and tech savvy potential of Mercury square Uranus. If you said Ted Cruz and Michael Moore, you’ve been paying attention! Thank you for reading this forecast and sharing it with your friends. If you find it of value, I invite you to make a donation to the Midnight Oil Writer’s Fund. It will be received with much, much gratitude.